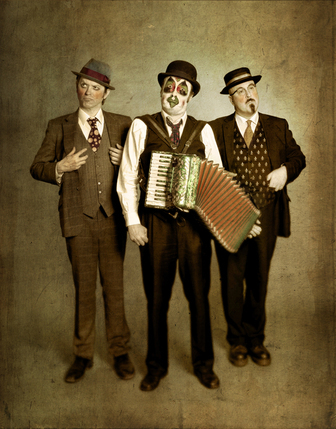 The Grammy award nominated purveyors of alt-cabaret The Tiger Lillies are regarded as the 'godfathers of alternative cabaret'. They fuse pre-war Berlin performance style with edgy, modern punk as they explore dark, depraved songs and draw on the classic recordings including Shockheaded Peter. Having been nominated for a Grammy they claimed an Olivier Award and now, conjuring up the macabre magic of pre-war Berlin and fusing it with savage punk, they return to London Wonderground with their live concert. Always capable of shocking, surprising and entertaining, The Tiger Lillies are 'unique, unapologetically offensive [and] raucously funny' (The Independent). Not suitable for under 16s. What are the best dining options near The Tiger Lillies - Live In Concert London? The Tiger Lillies - Live In Concert gyms, sporting activities, health & beauty and fitness. The best pubs near London The Tiger Lillies - Live In Concert. The Tiger Lillies - Live In Concert clubs, bars, cabaret nights, casinos and interesting nightlife. Where to have your meeting, conference, exhibition, private dining or training course near The Tiger Lillies - Live In Concert.